In a few hours my girls will be home for two weeks. Today is the last day of school before winter break and I’m ready for a chill out. 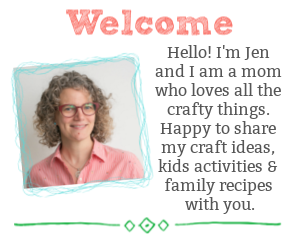 I’m looking forward to exploring different ways to slow things down and connect with our family…seriously. 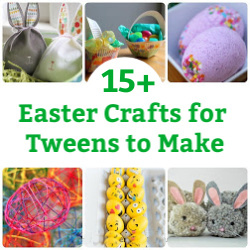 One family activity that always lands on our to-do list is making good food together. 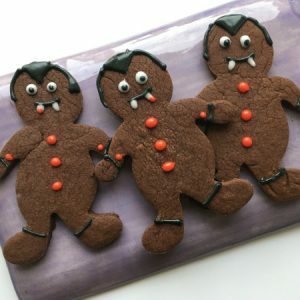 I especially love making dishes that are inspired by movies and television shows we are watching – have you seen our Hotel Transylvania Dracula cookies or our Joey, from Friends, meatball sliders? This holiday season we are taking inspiration from Trollhunters. If you haven’t heard of it yet…believe me, you will. 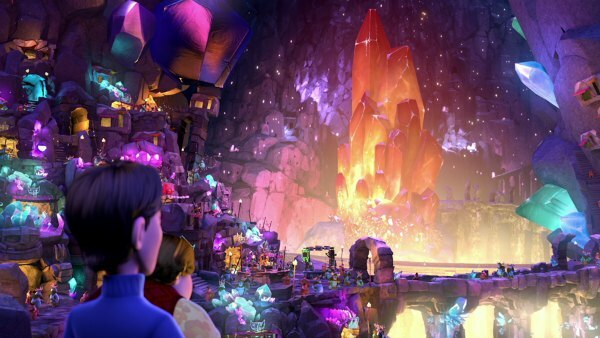 Trollhunters is a new 26 episode Netflix original series from creator Guillermo del Toro and DreamWorks that happens to premiere on December 23rd. When high schooler, Jim Lake, stumbles upon a powerful amulet he finds himself coming face to face with a remarkable world filled with trolls – good and bad trolls. Along with his friends, Jim navigates his way through his training preparations and embarks on an epic adventure. Suiting up and battling evil trolls – protecting the good trolls and humans alike – NBD. Imagine a world of trolls existing right under foot. Pretty cool, right? So, I assume that any good Trollhunter will need a full belly to be ready for battle. Which is what led us to make troll mix…kinda like trail mix – but for a Trollhunter. 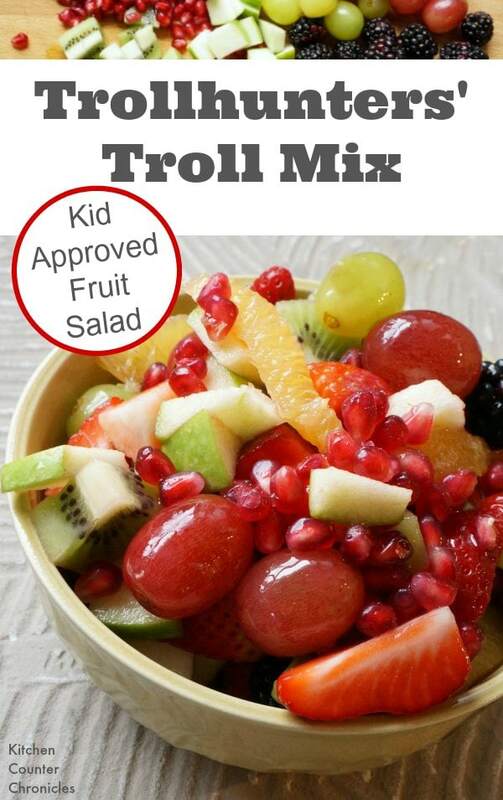 Our troll mix is packed with deliciously ripe and seasonal fruit. We took inspiration from the bright jewel tone colours that exist in the troll world. 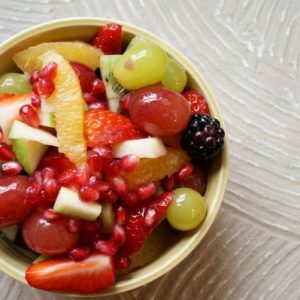 Bright colours made us reach for bright flavours and bright fruits. I always find it amazing how kids will try new foods if they have a fun name. 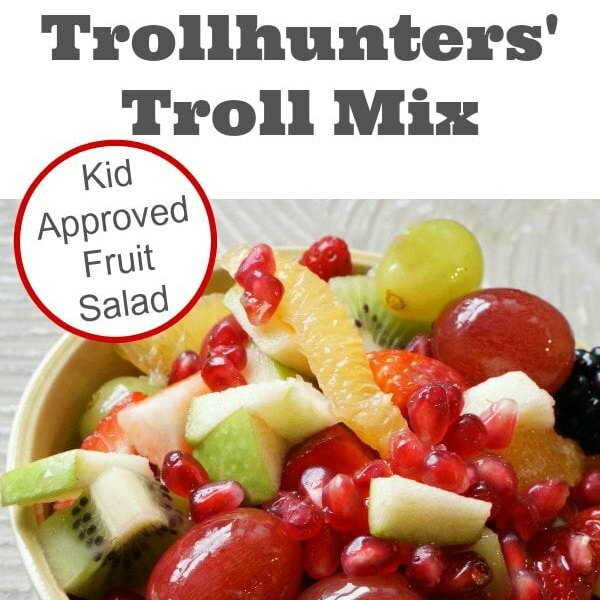 If your kids are anti-fruit salad kids make sure to call this bowl of deliciousness Trollhunter troll mix…no fruit salad here. 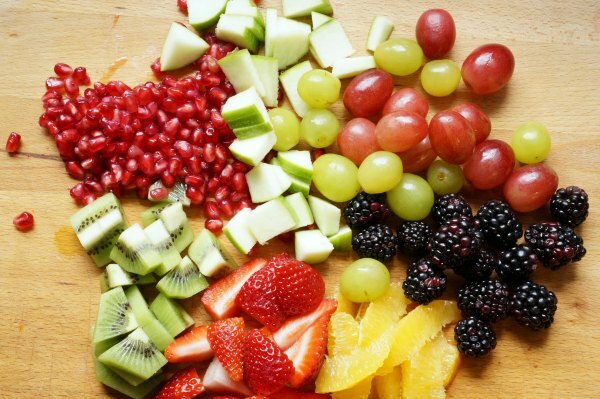 Chop up all the fruit, however you like. Place into a large bowl. 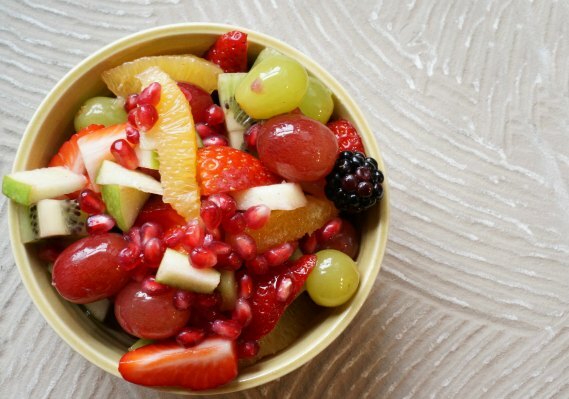 Drizzle with honey and toss to coat the fruit. Let the troll mix sit for at least 10 minutes. Then serve. How you personalize the troll mix is up to you and your kids. 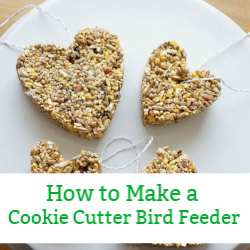 A few options include adding granola, yogurt, ice cream, vanilla pudding, whipped cream…you get the idea. 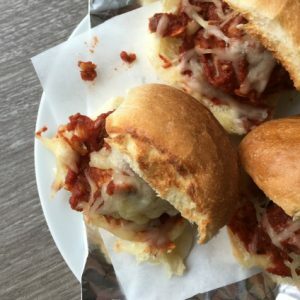 This snack is packed with goodness, so that your Trollhunters will be ready to hit the road and take on whatever new epic adventure they face. 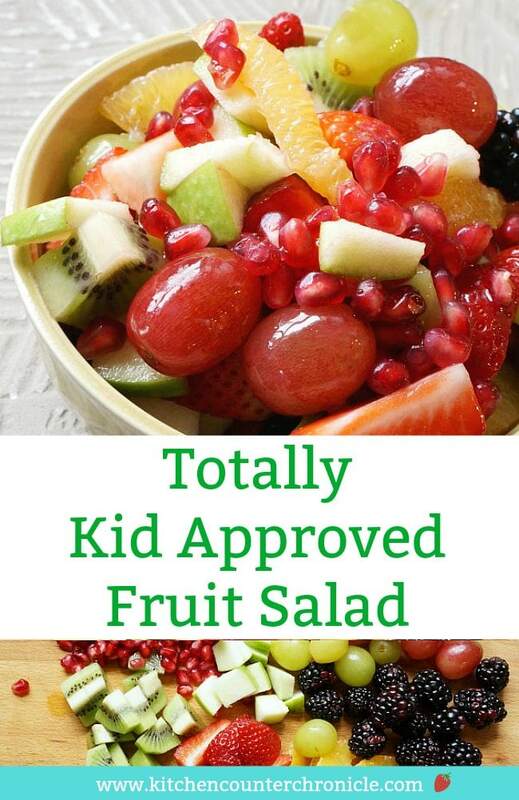 The kids are going to love this fruit salad - with a hint of honey.